SiriusXM Holdings is a major player in the audio entertainment industry. They were established in 2008 through a merger between XM Satellite Radio and Sirius Satellite Radio, and since 2009, their subscriber base has increased from 18.8 million to over 32 million in 2017. SiriusXM Radio is now offered in over 70% of new vehicles entering the market. Before BlackLine, SiriusXM was handling millions of credit card transactions manually each month. Their teams were unable to reconcile transactional data from the order-to-cash process across multiple disparate systems due to the overwhelming volume. Like many companies, these manual processes were a painful reality for SiriusXM accountants. Accountants were unable to locate original files for supporting documentation or track ongoing status during the financial close. A single administrative assistant was responsible for managing the filing of original documents in binders. Sounds like chaos, doesn’t it? Simply utilizing their Oracle ERP wasn’t getting the job done. 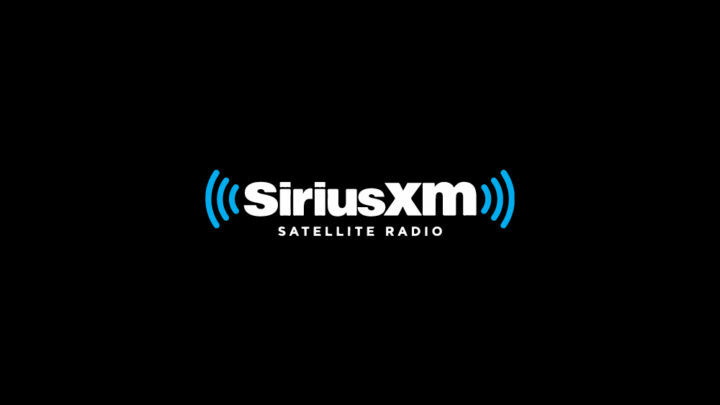 It was time for SiriusXM to embrace the idea of intelligent automation for their financial close. After identifying the need for an automated solution, SiriusXM considered several platforms, including Oracle, their ERP provider. Using Oracle solutions could be perceived as the obvious choice, but SiriusXM decided to work with BlackLine to build the capabilities they needed for several reasons. It’s cloud-based. SiriusXM was not in a position to purchase hardware for their accounting department, so BlackLine’s cloud deployment and software-as-a-service (SaaS) subscription model fit with their purchasing requirements. It’s sophisticated. SiriusXM was confident that BlackLine could build out the capabilities they required to handle the volume of transactions and complexity of processes. BlackLine is committed to the customer. SiriusXM knew that BlackLine would be a reliable partner to help them overcome the challenges that were sure to arise while building the solution they needed. Reconciliation of the order-to-cash process was the driving force behind SiriusXM’s search for a matching solution, but they decided to implement additional BlackLine products, including Account Reconciliations, Tasks, and Journals. Due to the complexity of SiriusXM’s matching requirements, BlackLine’s implementation team took the better part of 18 months to get Transaction Matching up and running. However, the other three solutions were implemented out of the box within three months, providing a foundation for the Transaction Matching solution. SiriusXM found such value in the integration and ongoing data available in these solutions, they decided to embark on the journey of Continuous Accounting. For this project, SiriusXM moved to implement another BlackLine product for advanced automation: Automated Journals. Using Automated Journals, SiriusXM has systematized the creation of recurring, definable entries, drastically reducing time spent manually creating, summarizing, substantiating and posting complex journal entries back into their ERP. BlackLine revolutionized this process, automatically posting approved journal entries back into Oracle. Using Transaction Matching, SiriusXM has achieved 99.9% accuracy in their matching automation process. As transactions are captured and seamlessly imported from Oracle into BlackLine, the system matches credit card transactions with the appropriate orders, reducing tedious manual labor and increasing the productivity of accounting staff. SiriusXM also uses Transaction Matching for bank reconciliations, accrual matching, and other ad hoc matching needs that arise. Implementing Automated Journals yielded a cost-benefit ratio of 1:2. Within the first two years of implementation, Automated Journals enabled SiriusXM to automate 50% of their journals, with the expectation to automate another 20% the following year. By implementing BlackLine’s finance controls and automation platform, SiriusXM successfully automated a majority of their transaction matching and account reconciliation process. As they continue to leverage BlackLine’s automation capabilities, SiriusXM is positioned to continue their rapid growth without putting undue pressure on Accounting. These process transformations were so successful because of BlackLine’s seamless integration with Oracle. It’s the same reason that over 500 of the fastest growing and most recognized global brands that run Oracle have selected BlackLine as their Cloud Financial Close Solution of choice. Join this webinar on April 25 to learn more about how SiriusXM transformed their accounting processes by running Oracle and closing with BlackLine. Previous story How Do You Define the Full Financial Close vs Closing the Books?